A few months ago, I was contacted by a company called VEGAN CUTS to inquire if I would be interested in receiving a complimentary box of samples to do a review of their products & services. VEGAN CUTS is a monthly subscription service that offers either vegan snacks or beauty products. You can also shop for individual products via their website. I was only familiar with one product in the box which is why I am so excited to share it with you. It has been so much fun to discover new products and try them out. I cannot think of a better gift for a new (or … not so new) vegan! I wish this had been around when I was starting out. VEGAN CUTS offer you the ability to try out samples of different products you never knew existed. 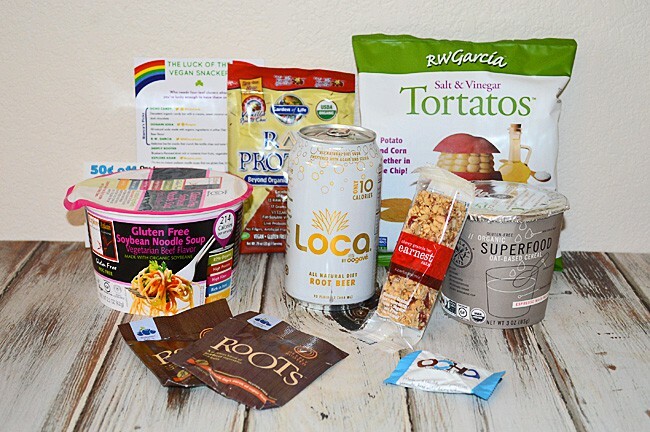 I sampled the MARCH snack box and here’s what it contained. 1. 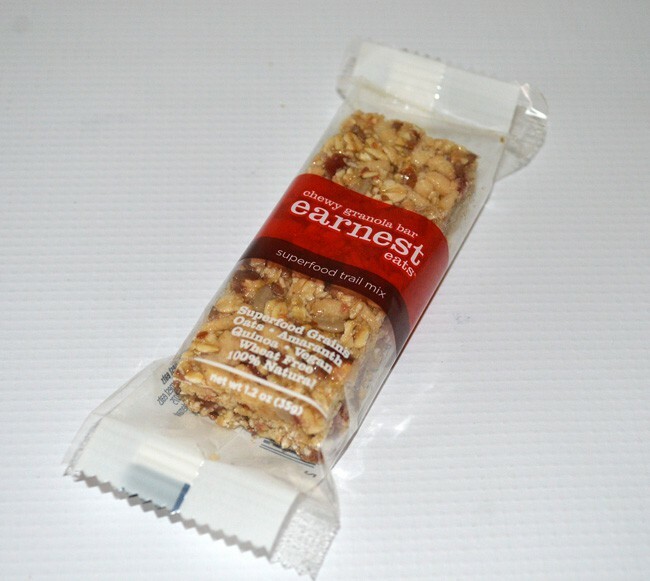 EARNEST EATS Superfood Trail Mix Chewy Granola Bar: I really enjoyed this bar. There are cranberries in it, but the flavor that stands out the most is the pomegranate. It’s moist, chewy and I liked the texture. Other flavors are available. I would love to try the apple ginger bar as well. 2. 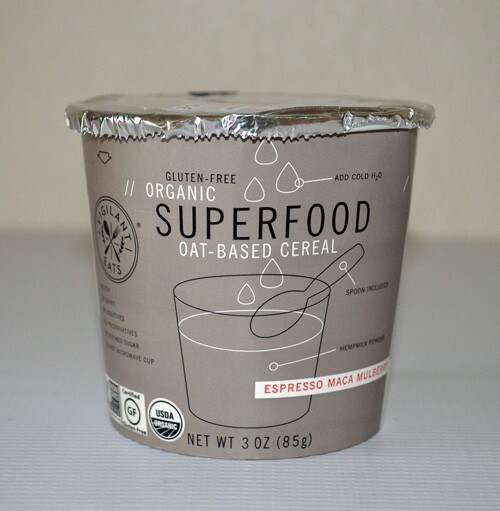 SUPERFOOD Organic Oat-Based, Gluten-Free Cereal – Espresso Maca Mulberry Flavor: You definitely get the aroma of coffee. I’ll admit, although I love the smell, I am not a coffee fan. I decided to use this, not as a cereal, but in a future granola bar recipe. 4. 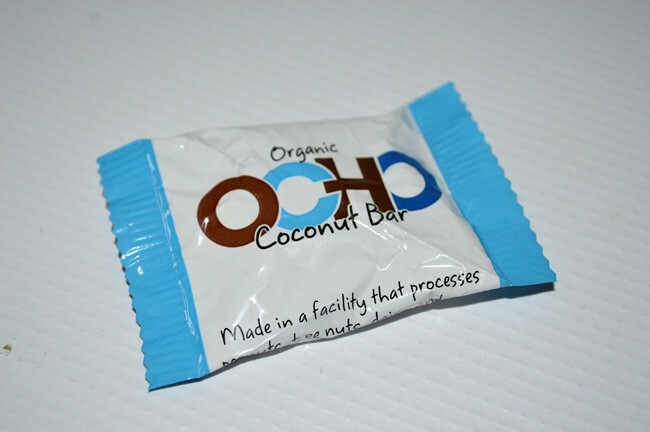 OCHO ORGANIC CANDY (Coconut Bar): The only issue I had with this product is that it arrived somewhat melted which, is not their fault. It has just been unseasonably warm for March here in Arizona. We are used to this kind of thing, so I stuck it in the fridge for a few minutes and it was fine. Dark chocolate and coconut. Pure, unadulterated taste. Several other flavors available! 5. 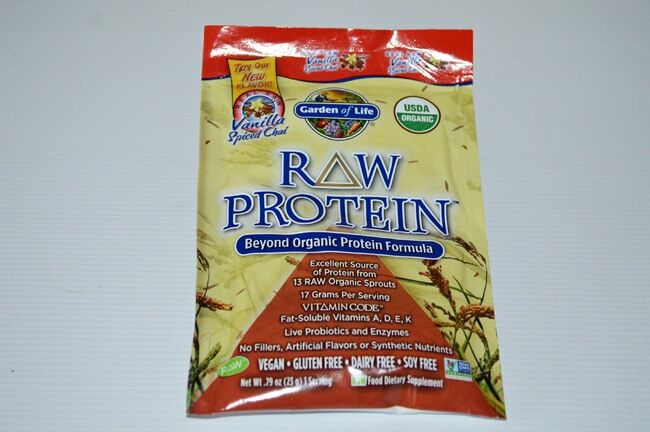 GARDEN OF LIFE RAW PROTEIN: This one I have used before in the original flavor. This one is Vanilla Spiced Chai – so I made a smoothie out of it! I’m a big fan of Garden of Life in general. They didn’t go wrong here either. 6. 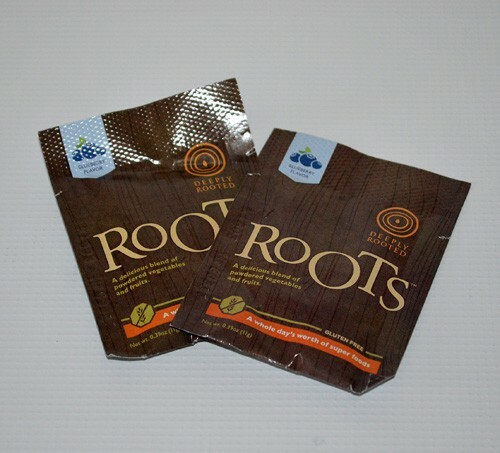 ROOTS by DEEPLY ROOTED (Blueberry Flavor): I had never heard of these little Superfood Powder Packets. I wasn’t sure how to use it. Turns out you don’t need a blender, just add it to your smoothie for an extra boost of veggies. You can even add it to water. Since this was a Blueberry Flavor, I made a smoothie with bananas and ice. It smells heavenly & tasted really, really good! They come in these little packets or a canister. I think the packets are perfect for those on-the-go. 7. 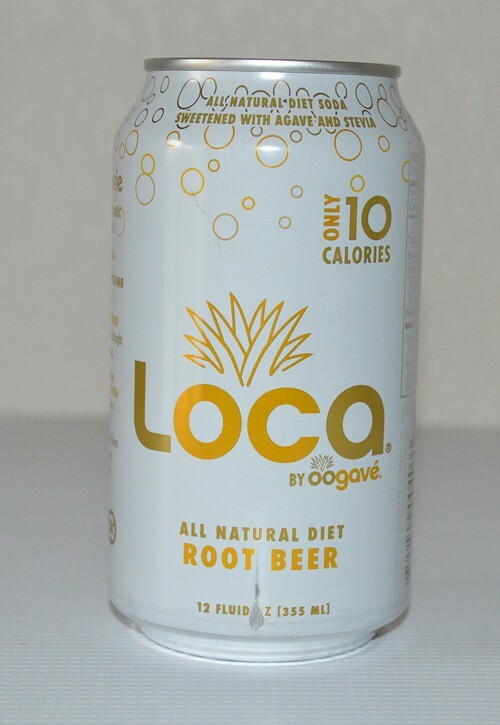 LOCA Soda by OOGAVE: I love root beer, so they couldn’t have sent a better flavor! 10 Calories soda available in Cola and Ginger Ale flavors as well. It had the usual carbonation but a light, natural root beer flavor. No artificial flavors so you can really taste the ingredients. Pure flavor. This would make a great root beer float over vegan coconut ice cream! 8. 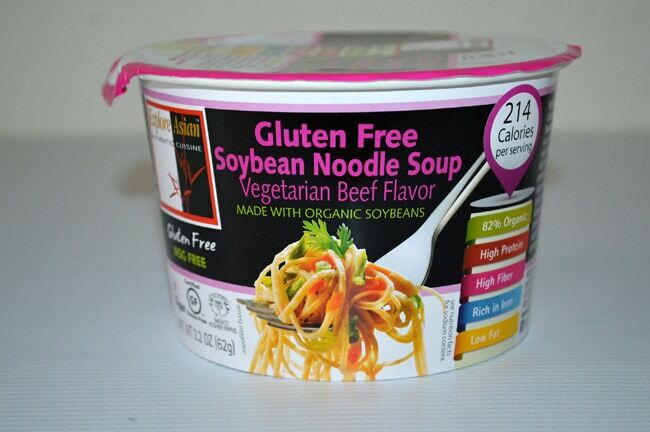 EXPLORE ASIAN Soy Noodle Soup – Vegetarian Beef Flavor: This also comes in Vegetarian Chicken Flavor and Vegetable Flavor (which I think I would have enjoyed a bit more than this one). That being said, there is so much GOOD to say about this company. This soup is packaged brilliantly and contains its own handy little fork! The spices were a bit strong for my taste however, the feature I love the most about this product is that they do not add salt, they give you a little packet and let YOU determine your own sodium-level. I love that! 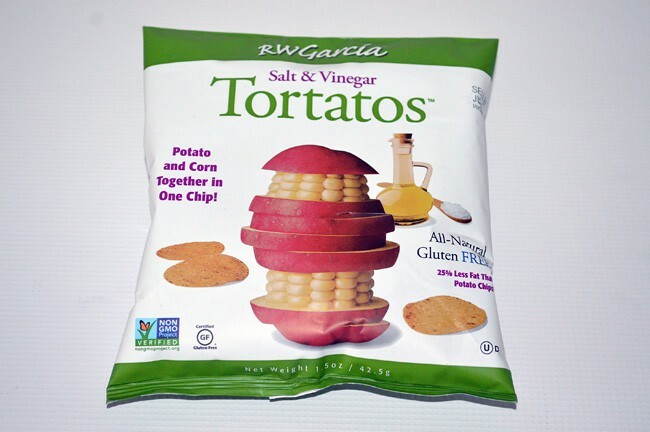 It’s gluten-free and the soybeans used are organic. I would definitely try the other flavors. And that’s it! If you subscribe, each month you’ll receive 7-10 products to try out. And every month is different. They charge $19.95 per month with FREE shipping in the U.S.
DISCLOSURE: Financial compensation was NOT received for this post. A sample of the product was gifted to The Veg Life! for the purposes of review. The opinions expressed here are my own.